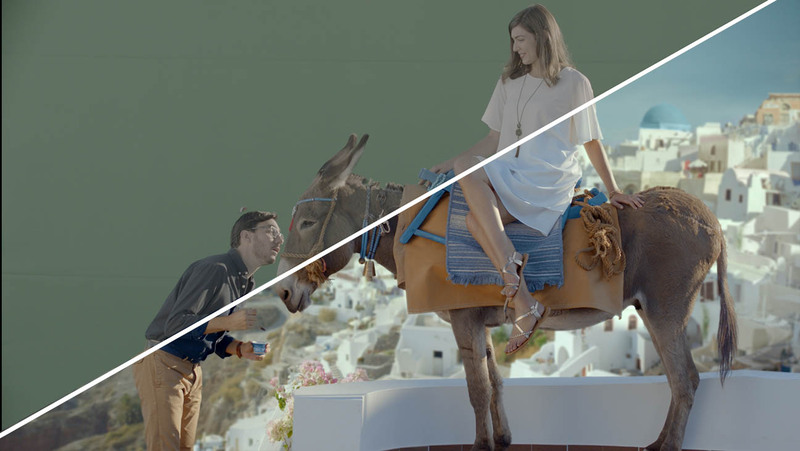 Rodeo FX recently created Oikos’ latest campaign which was shot in Santorini, Greece by directors Christian Duguay and his son Sebastien. Creative team at Rodeo FX create the picturesque homey town involved erasing the abundant tourists and their boats. Rodeo team also changed the landmark by bringing a cliff closer to the body double and added the brand color to some of the landmarks. The footage was shot mostly on green screen, with a Flame system present on set to align the dailies. A drone was used for filming for the falling effects. Fun Fact : The donkey is an iconic mode of transportation in Santorini.